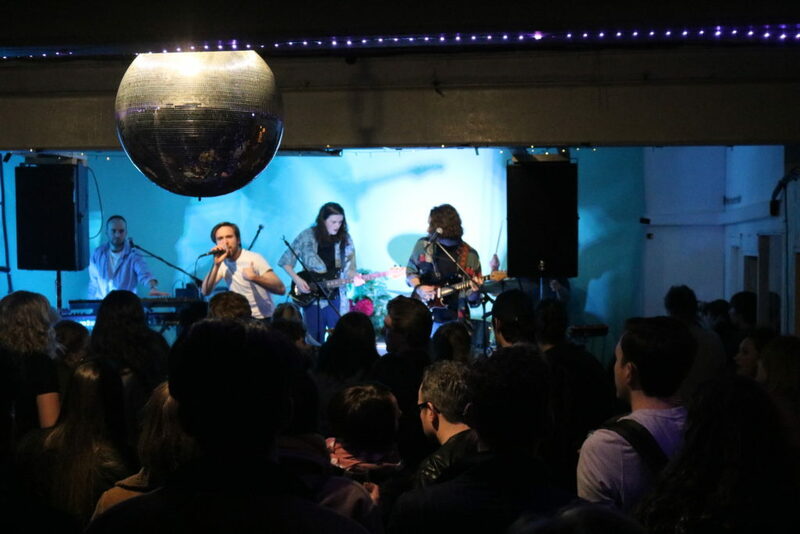 In a world dominated by big-time promoters who just put on a band and throw together a line-up consisting of whoever can be bothered to play Heir’s Blueprint really does show a way to a better kind of live music event. Heir are a DIY pop band who have developed a devoted Leeds following over the last couple of years. They are easy going, easy listening and easy dancing and they brought all that to their first night at the Hyde Park Book Club on the 21st of February. Featuring photography from the wonderful Portia Hunt, visual design from Monique Fleming and a line up consisting of Tamzene, Wild Front and the boys themselves closing out the night. The first thing I noticed as I descended into the basement of the Hyde Park Book Club was how bright the room felt. It feels weird to put so much emphasis on this but the cyan lighting used on stage was wonderful and really made the sometimes-dingy space feel welcoming and, having been to previous Heir shows, it was an aesthetic that fit Heir as a band. Portia’s photos were a nice addition to the evening but they did not have the impact they could have had given that the majority were situated right next to the stage and not lit in a way that showed them at their best. I arrived in the middle of Tamzene’s set and I am glad that I did not miss out on the experience. 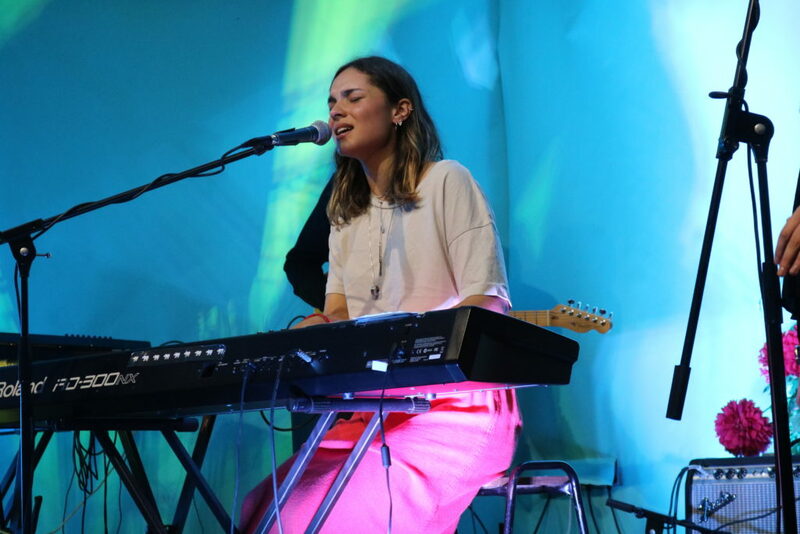 A student at Leeds College of Music, Tamzene and her band treated the already large crowd to a soulful and enchanting set. She’s not one to be missed when she plays at Live at Leeds come May. 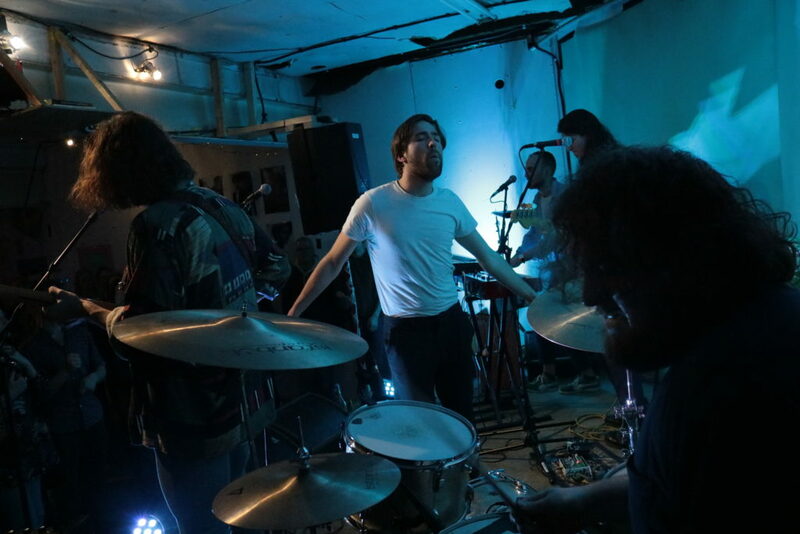 Up for the night from Southampton was Wild Front, a band Heir had become friends with when playing down south in 2017. Wild Front are what Manchester Orchestra might sound like if they were a little more positive and have an incredibly tight live set with heavy moments which don’t feel fully developed alongside the indie-pop that made up the rest of the set. As soon as Heir came on stage it was clear that they had been the main attraction all along. Tom’s energy and joy as a front man is infectious to a point where it would be rude to not join in. By this point the room is packed and warm. It’s wonderful to see such a small band with a dedicated following singing their songs back at them and dancing the night away in a strange Hyde Park Basement. Blueprint is a wonderful event that I am looking forward to going back to. The only worry I have is how successful future events will be without the charisma of Heir themselves performing and drawing in the crowds.